ehndi is the traditional wedding occasion of Pakistani weddings, and wedding supposed to be incomplete without Mehndi on feets and hands of bride. Mehndi patterns are designed on both front and back of the hands right up elbow , and on the bottom half of the legs. 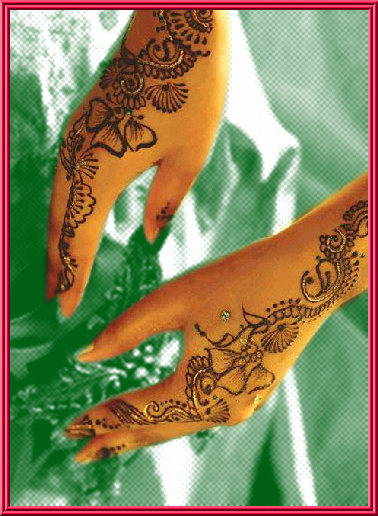 The patterns of mehndi are typically quite intricate and predominantly applied to brides before wedding ceremonies. The Mehndi night is something like a hen night in the West, with all the bride's female friends and relatives getting together to celebrate. They spend the evening singing traditional Mehndi songs, like "Mehndi hai rachnai wali" "Mehndi laga ke rakhna ", "Mehndi ki raat"